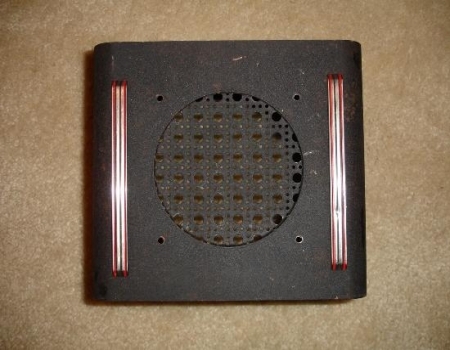 Yes, I know it's ugly but at one time speakers like this was all the rage. 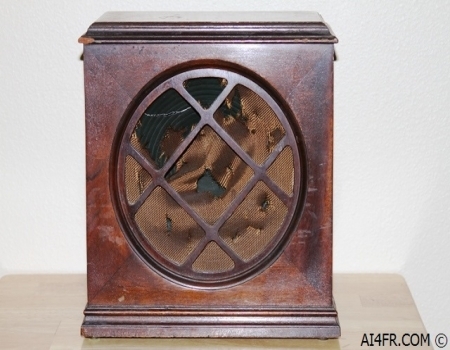 These speakers were built at a time when the AM broadcast band was the major source of information for most folks. Families would sit around the radio while dad or granddad operated the controls. One is left to wonder what exciting stories and world events boomed through in the example above. Could it have been Amos & Andy or Charlie Chan or Hopalong Cassidy maybe even Flash Gordon. 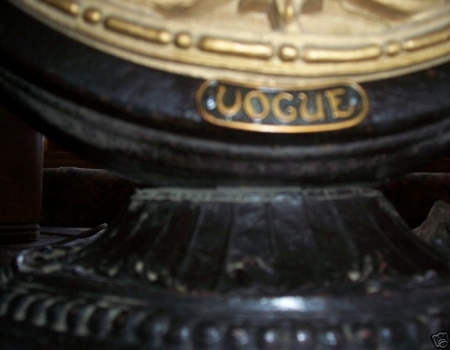 These next two speakers are unidentified as of yet. The one on the left was purchased with an Eveready model 3 broadcast band receiver. The one on the right was given to me by a local ham(KB4AKF). 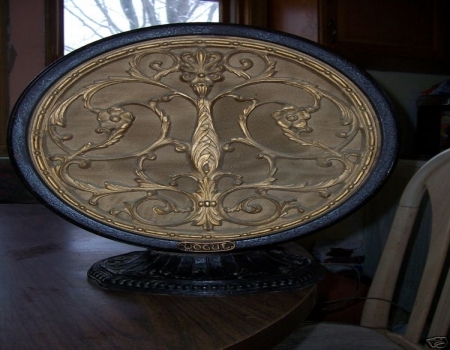 To see the internal componentss as well as more photographs of this speaker please CLICK HERE. 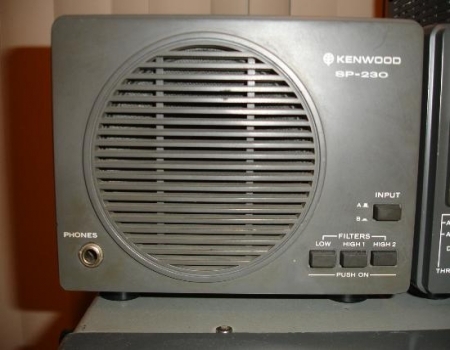 The photograph on the left is a picture of the Am-Com ClearSpeech Speaker model CSS-1 . 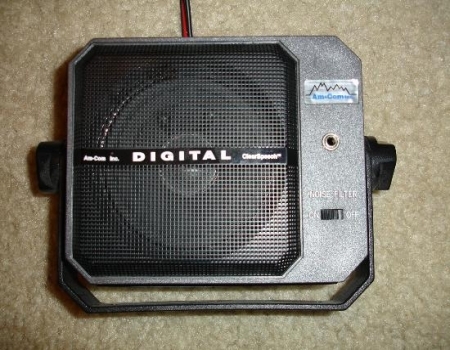 This is a speaker that incorporates audio digital signal processing(DSP) and is designed to remove static, steady tone noise such as carriers, and other interference. The ClearSpeech Speaker is a digital speaker that removes up to 95% of the background noise from the receive side of any two-way radio communication for greater intelligibility of the incoming conversation. The speaker has an on off switch and requires a 12 volt power source. If you do a lot of HF work while mobile then this speaker may be just what the doctor ordered. 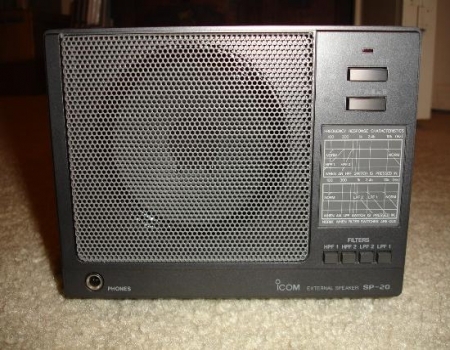 The photograph on the right is a picture of the Icom SP-20 speaker which is designed for use with a wide variety of communication equipment. The SP-20 is equipped with four separate audio network filters for maximum control of the audio characteristics of received signals. The SP-20 rear panel features two audio input jacks (3.5 mm mini jack). Input A or B may be selected from a switch on the front of the speaker. There is also a Speaker On/Off switch and a 1/4 inch headphone jack on the front panel. The filter response is an impressive -6dB octave.